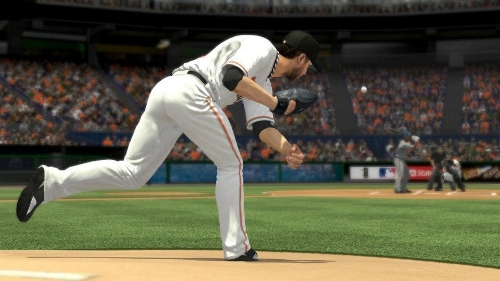 The $1 Million Perfect Game Challenge entered its third year with MLB 2K12 and 2K Sports finally got the structure right by turning it into an actual challenge rather than a race. The first two years had the winner complete the task on the first day essentially ending the promotion prematurely. That would no longer be the case as 2K12’s competition involved a month long window where any perfect games completed would be “scored” based on a number of factors with the top eight earning a spot in a live tournament for the prize. Unfortunately a flaw was quickly discovered by gamers who took full advantage completely illegitimizing the process. Users were able to change the lineup of the opposing CPU team without losing validation. One could take the most difficult pairing of teams – and therefore the highest possible “score” should a perfect game be pitched – without being penalized for taking out that team’s best hitters. Though not expressly prohibited in the rules, there was language that could have been interpreted as such, and certainly the way 2K designed the mode was meant to prevent alterations from taking place. The company even made one statement on the game’s Facebook page that such a tactic was not allowed but they never followed up on that. The irony was rich in everyone having to wait for a patch (which wouldn’t come until three months after release) in order to provide uniformity for the competition all the while rampant cheating was taking place. 2K Sports was well aware that the MLB 2K series was dead following this release and so they had no problem providing flippant responses to inquires regarding the legitimacy of the competition and ignoring the issue altogether once it blew up. There was no longer any concern regarding future consumer confidence in the product and its advertised features and promotions. Admitting the flaw in the game and the rules would have brought additional negative PR to the company and they felt avoiding that, and potentially legal action, was more important than providing the fair playing field necessary for such an event. Doing so also would have threatened the TV show centered around the final eight live tournament…and there was no way they were going to risk that showcase for the game and their brand. Much more still to come!